It’s tiring to hear that Google doesn’t have “social” in its DNA. I left a comment on the article, but I must elaborate on this battle of epic proportions happening in the tech world. Google is or can be perceived as being arrogant. It’s unlikely that a company that has transformed the world as Google has can avoid a tinge of arrogance. Hence, it is naive to think that Google’s attempts at “social”, namely Google+, are merely whimsical dalliances of an aging giant. I don’t think anyone at Shoreline realistically thinks Google+ will ever overtake Facebook. The arrogance is a ruse to throw us off the scent–the smell of deepening fear. Google’s stated mission is to “organize the world’s information and make it universally accessible and useful”. When what all the world knew was Yahoo’s labyrinthian category hierarchy, Google’s algorithm for indexing and searching the growing sea of information was a quite a paradigm shift. This approach is still dominant today but the sea itself is changing. The Internet used to give Google free reign to crawl and index. Today, with digital fortresses like social networks and pay walls, it’s become more and more difficult for Google to complete its mission. For a while, Google had a deal to incorporate tweets into their search results. As of late, the relationship is still strained. Then there was the whole Google-Facebook address book debacle. More and more, the world’s information has evolved from merely flat web pages to intricate graphs containing not only people but brands, topics, and even pets. Companies like Badgeville and lately Facebook as well, go further, building “behavior graphs” where the connections between the content are rich verbs like “watched”, “purchased”, and “performed”. Google’s frustration is apparent and with good reason. Think back to Google’s ordeal with the Chinese government last year. The situation is different, but the problem is the same: the world is not as open as Google likes. The government writes the rules in China and Google must operate by them. It took Google a while to realize that. The same battle rages on between Android and iPhone. For better or worse, Apple keeps tight control over its iWorld. Some people like that approach, but for the rest of the market, Android is bringing order to the chaos. 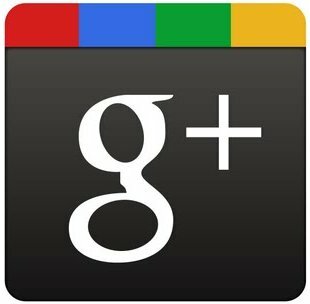 Google+ is an attempt to break down yet another set of barriers in another arena. It’s the counterweight to Facebook and its unique way of looking at the world. Whether or not you believe what Google believes, you should respect them for sticking to the mission, even if they don’t always clearly articulate them. However, you really have to wonder how Google will organize the world’s information when it has no access to large portions of it. Or perhaps what will happen if Google stopped fighting these fights.